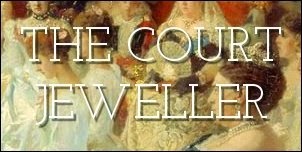 Queen Mary got the idea for the tiara from a piece of jewelry that had belonged to her aunt, Grand Duchess Augusta of Mecklenburg-Strelitz. The Cambridge Lover's Knot Tiara was originally worn by Mary's grandmother, Princess Augusta, Duchess of Cambridge. She loved the piece, even wearing it to Queen Victoria's coronation. It was inherited by Grand Duchess Augusta, who reportedly passed it on to her daughter, Jutta. Above, Augusta wears the Cambridge tiara. The lover's knot motif was a popular one in the nineteenth century. Other royals and nobles also had lover's knot tiaras, including the Bavarian royals and the Yusapov family. When Queen Mary died in 1953, she left her lover's knot tiara to her granddaughter, Queen Elizabeth II. The Queen wore the tiara a few times in her younger years, but in 1981, she passed it along to her new daughter-in-law, Diana. After Diana's divorce and death, the tiara was returned to the Queen. And now, although many expected Kate to steer clear of a jewel so strongly associated with her husband's famous mother, it has become the third tiara worn publicly by the Duchess of Cambridge. Intriguingly, the tiara often mistaken for a previous Cambridge duchess's tiara has now finally landed atop another Cambridge duchess's head!